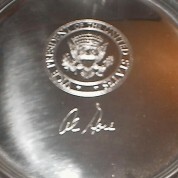 This is a Great Al Gore Vice presidential Knife. 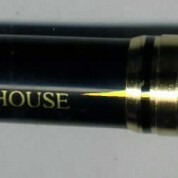 This is a great and very usable Al Gore Vice Presidential gift. 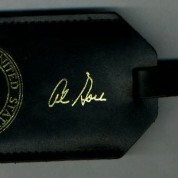 It is a small pocketknife with the Vice Presidential Seal on one side and Al Gore’s signature on the other. 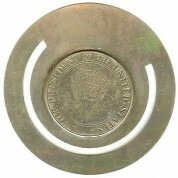 The knife has three blades, a file, knife blade and scissors. This came out of The White House during Al Gore first term in office. 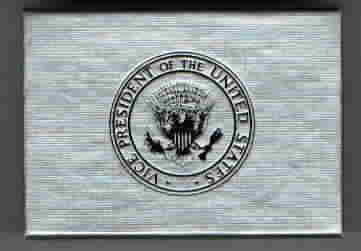 It comes in a siver box bearing the Vice Presidential Seal.